Send this lush bouquet to any Valentine on your list! 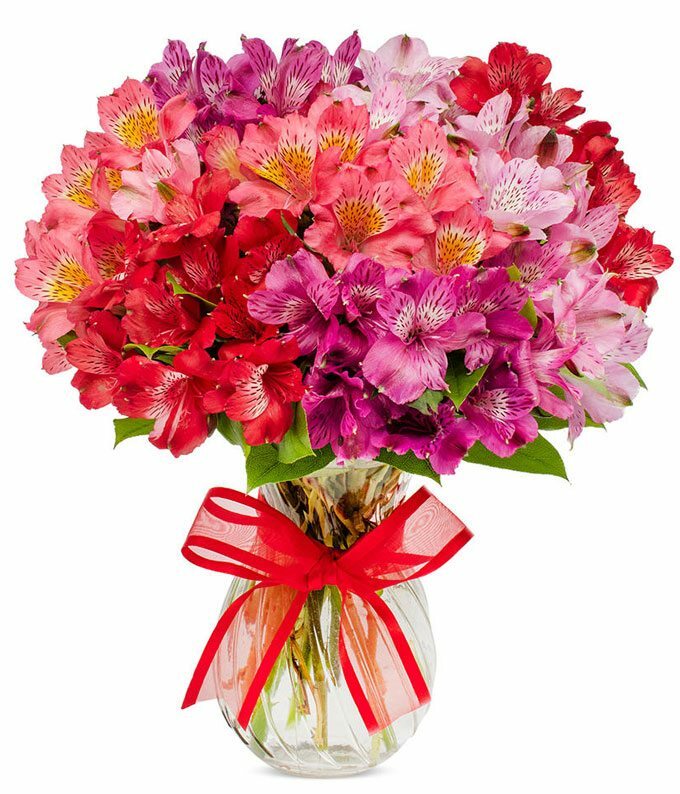 The Peruvian Lilies come in so many shades and colors that each arrangement is truly one of a kind, just like your love! Approximate arrangement Height 15", Length 13"